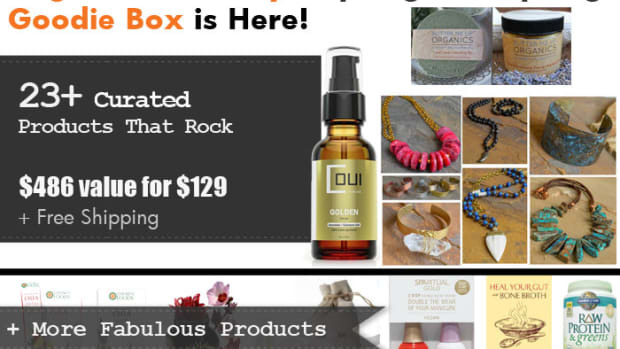 This seasonal Goodie Box is packed with the best in eco-friendly non-toxic goodies, including 9 beauty + wellness + fashion, and 10 foodie + cooking products means gifts galore for everyone on your list--even gifts for you! 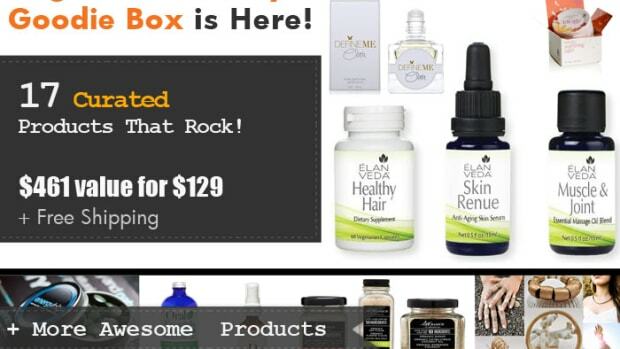 We only have 50 Goodie Boxes available, each filled with $504 worth of products for the hot sale price of just $129.00 + free shipping! (That’s a 73% savings!). Beginning Friday, November 27th, we will reveal several brands per day. 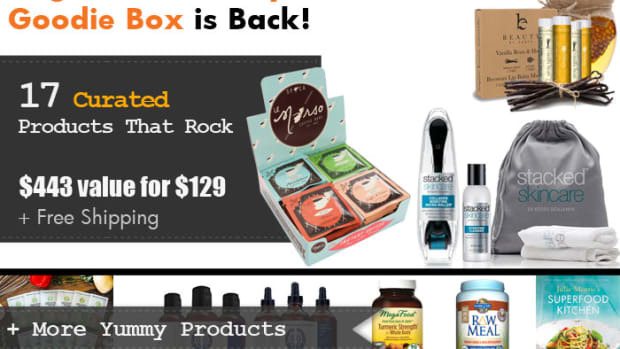 The Goodie Box will go on sale Monday, November 30th, 2015 at 8 o’clock am Pacific Time. Set your timers and mark your calendars–these will sell out fast. Buy one, two or three, for yourself and all your friends and fam! The last box sold out in just under 30 minutes. This offer is only available to the first 50 buyers. When we are out, we are out! Check back daily to see what the big reveals are. 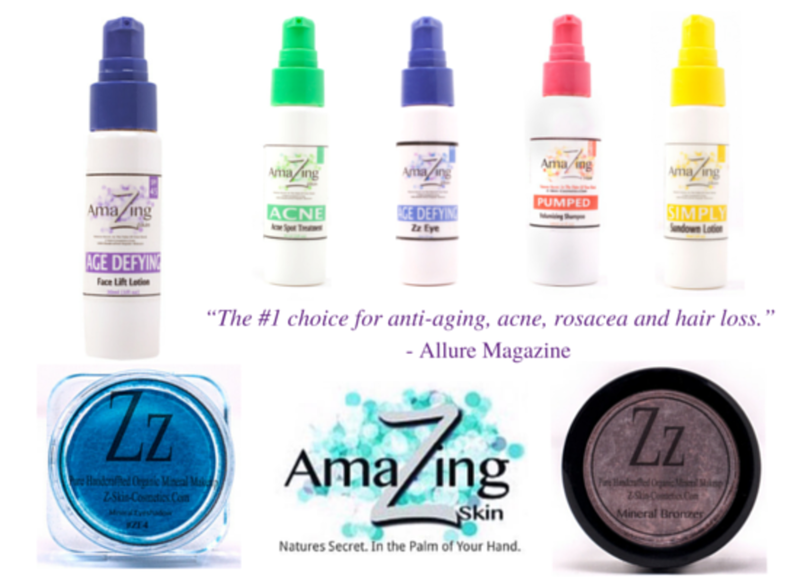 Recognized by Allure Magazine as “the #1 choice for anti-aging, acne, rosacea, and hair loss.” Z Skin Cosmetics uses exotic herbs and oils from around the world to give you the flawless look you’ve been searching for. Incorporating high-quality organic ingredients, and century-old traditions from small cultures around the world, Z Skin Cosmetics will quickly and visibly give you the results you need while managing to be affordable. The brand&apos;s mission is to make sure it finds the right products to fit your needs, so Z Skin Cosmetics is the your last stop on your search for products that finally work. Whether it&apos;s wrinkles, crows feet, fine lines, age spots, or loose sagging skin, the brand&apos;s Age Defying System will help reverse the signs of aging. Its Acne System is for normal, oily, or sensitive skin, clears breakouts fast, unclogs and tighten pores, erases scars, and helps prevent future breakouts and blemishes. 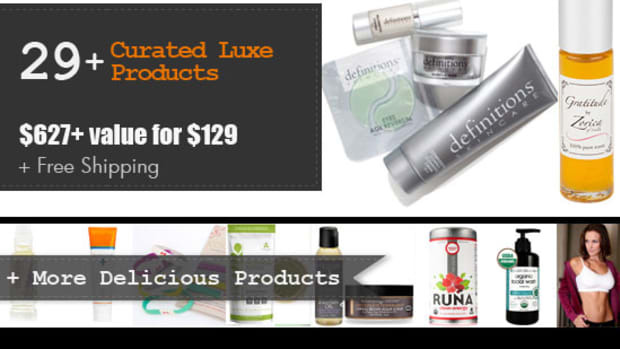 All products feature natural herbal preservatives. Refrigerate products for optimal shelf-life. Shelf life is 4 months when refrigerated. Gift cards expire March 30, 2016. Gift cards may be used together. Each gift card&apos;s value must be redeemed in one single checkout. The Complete Bundle Gift Card is valid for up to a $160 value; if a Bundle is purchased under a $160 value, there will be no remaining balance. Dull winter skin a thing of the past. Introducing The Revitalizer from Biossance™, a Universal Moisturizing Concentrate made with 100% plant-derived Squalane. What is Squalane? The beauty of your skin relies on vital moisturizers found in your body, one of which is Squalane. Squalane is a natural moisturizer found within our skin that can start to decline, in some, as early as our 20s. The Revitalizer instantly hydrates the face, neck, and body, while locking in essential moisture--even on the chilliest of days. Fragrance-free, paraben-free, non-comedogenic, and dermatologist tested, it’s no wonder The Revitalizer has been reviewed 4.9 out of 5 stars. “It improves the look of my skin in a short amount of time. It gave me a glow that others noticed.” Its multiuse benefits boost your moisturizer, enhance makeup, tame flyaways, or conditions your cuticles after a manicure. Great for all skin types, this daily weightless moisturizer will leave your skin feeling nourished and revitalized. Restore your own biological beauty. 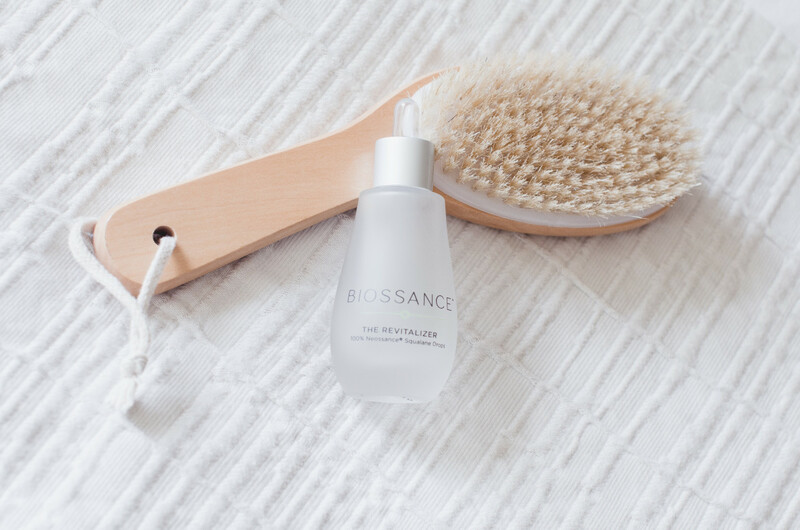 All Organic Authority readers can get $15 off a purchase of The Revitalizer (full-sized) from Biossance&apos;s website (link above). 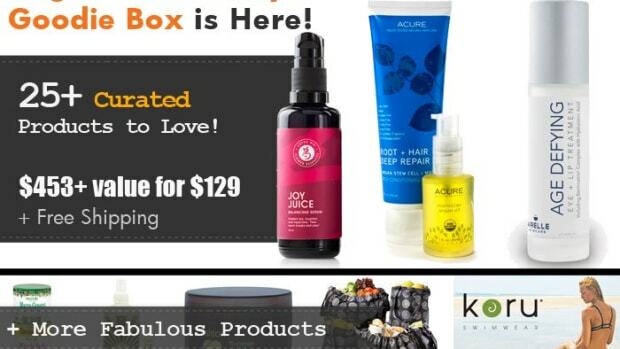 Just use promo code VIPJOY at checkout. 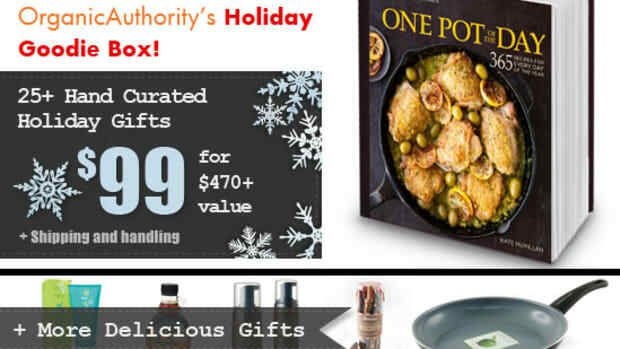 Offer ends midnight (Pacific Time) on Jan 10, 2016. Keep your gut in ship-shape, even with all that holiday feasting you know you&apos;re going to do. As part of your complete program for digestive health, enzymes help your body digest food and unlock its nutritive value. 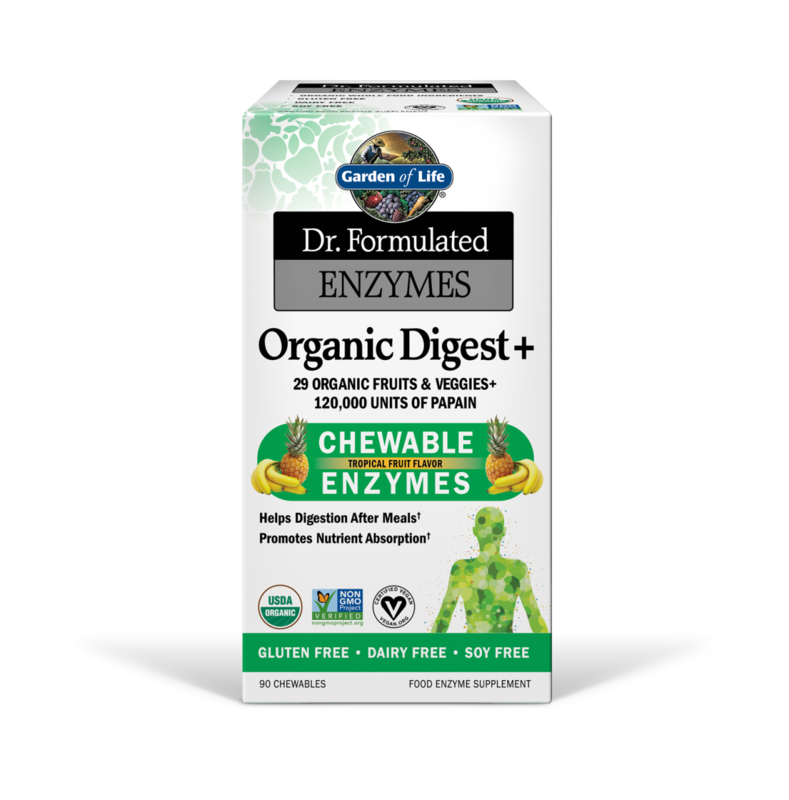 Organic Digest+ was formulated as the first and only Certified USDA Organic and Non-GMO Project Verified full-spectrum digestive enzyme. It promotes nutrient absorption, helps digestion after meals, and contains 29 powdered Certified USDA Organic fruits and vegetables, combined with a select blend of 13 powerful digestive enzymes, including 120,000 units of papain. Contains less than 1g of sugar, no artificial flavors, sweeteners, colors, preservatives, fillers, or binders, and is hypoallergenic, gluten, dairy, and soy free and Vegan Certified (third-party certified by Vegan Action). Dr. Formulated Digest+ was formulated by David Perlmutter, M.D., F.A.C.N., America’s Brain-Health Expert, Board-Certified Neurologist, #1 New York Times Best-Selling Author, Fellow of the American College of Nutrition, and Expert in the Human Microbiome. Give the fashionable gift that turns heads. The OM Collection is a yoga and lifestyle clothing company specializing in unique styles that are ethically produced. Enjoy a $30 gift card with $10 towards shipping, which can be applied to any of the brand&apos;s online styles. Shop yoga clothes, recycled leggings, organic cotton bell bottoms, white yoga clothes, and resort fashion. The OM Collection uses organic and recycled fabrics whenever possible. The brand&apos;s best-selling yoga leggings are produced in the United States and the remainder of its designs are sewn by a women&apos;s collective in Bali, Indonesia. Gift card expires March 30, 2016; all orders will be shipped within three days of order placement via USPS, with 3-5 business days for delivery. Does the hustle and bustle of the holiday season feel overwhelming? Do you feel restless from stress and anxiety? Feel peace and calm--the deliciously-scented way, with top notes of lavender, cardamom, and sustainable rosewood from ADORAtherapy. This proprietary blend of essential oils in a base of organic jojoba can be rolled on and breathed in for an immediate mood-boost. Use as a natural perfume and for pressure point application. 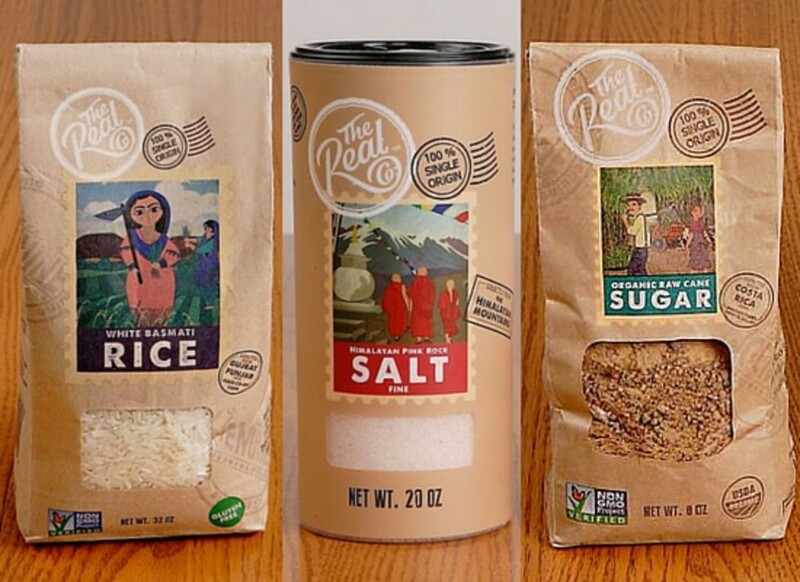 The Real Co White Basmati Rice has no additives, no chemicals, no pesticides, and is non-GMO. This rice is a “super grain,” with all essential amino acids and folic acid, and is direct from Gujrat Punjab from Farid Co-op Farm. It’s 100% natural and 100% Single Origin, low-GI and pre-biotic. The Real Co Organic Raw Cane Sugar is non-GMO unrefined sugar, and contains 17 amino acids, 11 minerals, 6 vitamins, with antioxidants that may reverse oxidative damage. Sourced directly from Assukar Farms, Tayutic Valley, Costa Rica. It is natural, organic, 100% Single Origin, with natural vitamins and minerals, and dissolves in hot or cold liquids. The Real Co Himalayan Pink Rock Salt has 80+ minerals and elements, noted for health benefits including reducing blood pressure, preventing muscle-cramping, and strengthening bones. Handcrafted in the Himalayan Mountains, it’s 100% pure, 100% Single Origin, non-GMO, unrefined and washed in Himalayan mountain water. Fine ground. 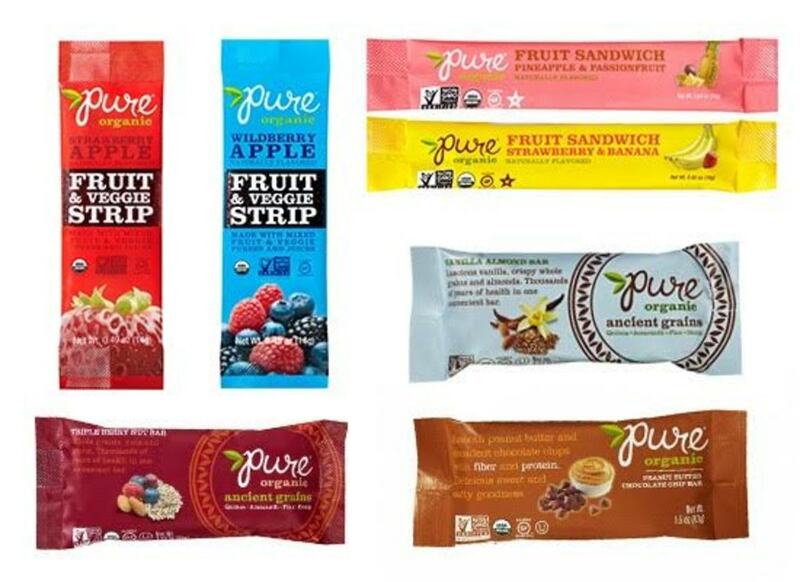 Pure Strawberry Apple Fruit & Veggie Strip ($1.09) + Wildberry Apple Fruit & Veggie Strip ($1.09): Enjoy these chewy sweet treats that are certified organic, non-GMO, vegan, gluten-free, soy-free, kosher, and made with fruit and vegetable juices and purees. No cane sugar or syrup, no artificial flavors or colors. Produced in a peanut-free facility. 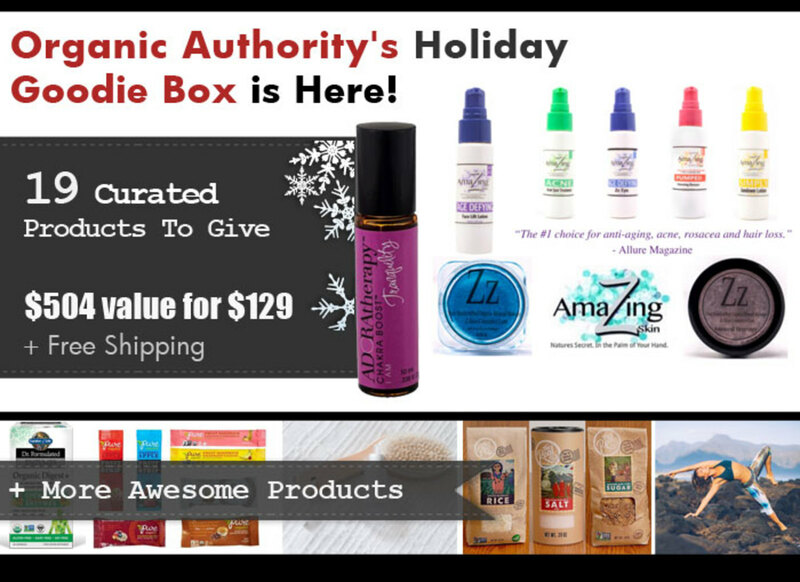 Total value of the Organic Authority 2015 Holiday Goodie Box:$504.00. 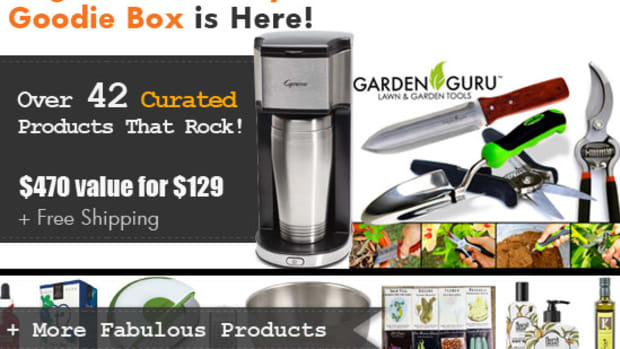 Sale Price: $129.00 + free shipping! That’s a 73% discount! The box goes on sale Monday, November 30th at 8 o’clock am Pacific Time. Set your timers and mark your calendars–these will sell out fast. Buy one, two or three, for yourself. This offer is only available to the first 50 buyers. When we are out, we are out!